Indiaplaza Blog For smart shoppers |: Festival Season is here again! Festival Season is here again! It’s that time of the year when India is all set to embark in the festival mood. People dancing in Bollywood numbers with Dandiya Sticks could be noticed in every neighborhood. Foot tapping music gets people moving and Bollywood songs look to be the unofficial national anthem for next few months across India. We proudly celebrate Navratri (meaning nine nights) with our family & friends in usual big & fat celebration style. Across India people celebrate this festive season in their own way. From Tamil Nadu to Punjab or West Bengal to Gujrat, everyone follow their on style of rituals in the country united with diversity. 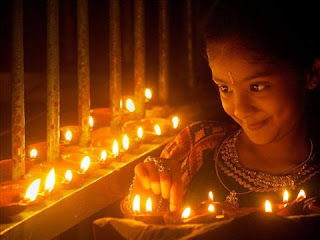 The celebration continues to Diwali, the most awaited festival for Indians in India as well Indians across the world. After a small break people slip in the holiday mood with Christmas and New Year again. During all this we all get too busy exchanging gifts between friends & family! At Indiaplaza we are also geared up to make your celebrations sweeter. Our range of Online Gifting options are handpicked are tailored to suit all occasions, festivals, relationships and budgets. We have all traditional & contemporary gifts, Diwali Thalis, Diwali Sweets & Dryfruits, Diwali Hampers & Crackers assorted for you.